The DisasTour is a fun, family-friendly, multi-sport event that tours through Rochester, Hancock and Granville, Vermont. Come on out and ride your bike, paddle a canoe or kayak and/or run as an individual or 2 – 4 person relay team! 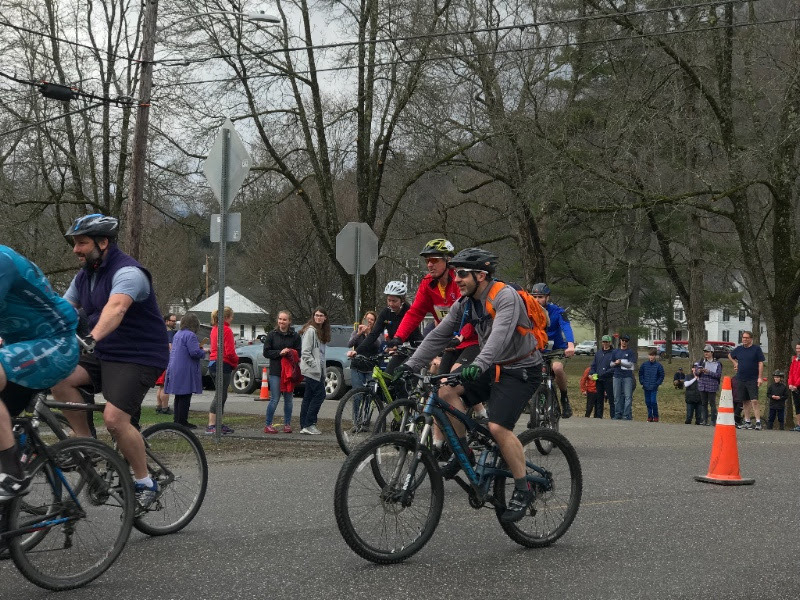 First staged in 2011 just weeks after Tropical Storm Irene, theDisas-Tour was created as a way to boost community morale, celebrate the resilience of the towns, and raise money for flood relief. Since then, organization of the event was transferred to the Rochester/Randolph Area Sports Trails Alliance (RASTA). All proceeds from DisasTour events benefit RASTA Trailbuilding efforts and the White River Valley communities of Granville, Hancock, and Rochester. Proceeds from DisasTour VIII will benefit the White River Valley communities through the RASTA Valley Trail Project and the local food shelf. Register for the full DisasTour as an Iron Person or as a Relay Team or just register for the partial DisasTour to do an individual leg. Pick your pleasure and then join us for the FUN!